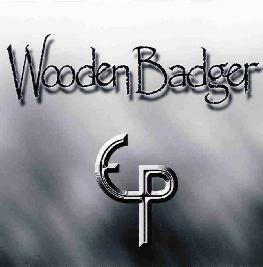 This is the first release from Wooden Badger, a progressive rock band from Southern California. The band cite a lot of influences on the biography but the distinctive voice and the way the keyboard is played in the opening number one cannot help but be reminded of classic 70s era Kansas. I love the opening Rainbow (Man On The Silver Mountain like riff) of Hourglass Allegretto. Excellent ROCK song. The singer can really sound like Steve Walsh! The CD ends with the nearly 17 minute long Search. Here you get to hear all aspects of the bands playing, with great interplay, and hints from some of your favourite prog bands are dropped here and there for amusement. Excellent stuff and a promising new band. I look forward to hearing a full length CD by this band! For more information you can visit the Wooden Badger web site at: http://www.wooden-badger.com. Contact via snail mail c/o Lee Loveless; PO Box 710184; Santee, CA 92072-0184. The CD is available from www.cdstreet.com or from the band for only $5.99 plus shipping and handling.